County-owned property: Courthouse, Jail, Fairgrounds, Recycling Center, & Emergency Management Building. County road status: open or closed, public or private. Vacating or dedicating of county roads. 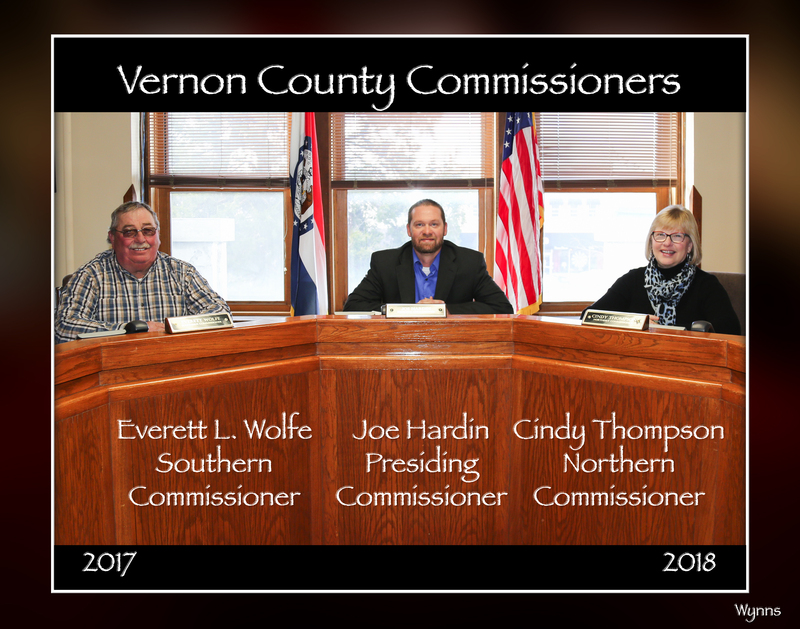 The Vernon County Commission has mainly administrative duties in setting tax levies, appropriating county funds, appointing board members and trustees of special services, accounting for county property, maintaining county bridges, and performing miscellaneous duties not handled by other county officials. The Commission oversees the spending of the county’s tax dollars which includes this year a $4.2 million budget. There is a misconception that the commission has authority over other elected officials and departments. The only control the commission has over these departments and department heads is budgetary. Nor does the commission have authority over the county’s township boards. Meeting with the CommissionThe Vernon County Commission is in regular session on Tuesday and Wednesday, 9 a.m. until 4:30 p.m. Appointments with the commission are advised and can be made through the County Clerk at 417.448.2500. Walk-ins and calls are addressed around scheduled appointments. The commission office is located on the main (first) floor of the Vernon County Courthouse.